Storm damage in the aftermath of Hurricane Irma in St. John&apos;s Caneel Bay. Jack Harrington could barely get past the first few sentences of the e-mail he received this week from his property manager in St. John without choking up. The correspondence only got worse from there. It included descriptions about the barren landscape, downed power lines, and how there are few buildings left standing in a place that for years Harrington has considered a second home. Hurricane Irma swept past St. John, the smallest of the three US Virgin Islands, on Wednesday, leaving many people homeless and stranded without resources as it continued west-northwest on its destructive path. 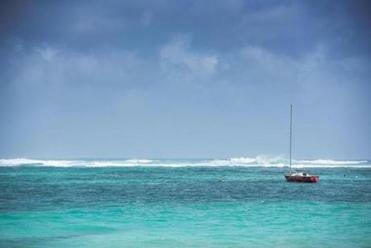 In the comments, we hope you will tell us about a special place in Irma’s path you might be worried about. The historic hurricane, which has been downgraded to a Category 4 storm, is projected to hit Florida this weekend. Governor Rick Scott on Friday urged residents in evacuation zones to immediately leave the area. Harrington, 59, visits St. John four to five times a year, he said, and has spent two decades escaping the New England region to enjoy the idyllic getaway. He said the complex where he lives on the island, which sits hillside overlooking Cruz Bay, is a “concrete fortress” and served as a sturdy refuge for residents on the island as the storm barreled down. The same couldn’t be said for other properties, restaurants, and buildings on the rest of the island, however. In Bisaillon’s e-mail to Harrington, the arrival of which was delayed because cellular service was temporarily lost, she said people moved from room to room during the storm, as their houses were torn apart, before hiding in showers and bathrooms for safety. “There has been definite loss of life, though we still don’t know the toll as of yet,” said Bisaillon’s e-mail, which was forwarded to the Globe by Harrington. During a telephone interview, Harrington found it difficult to comprehend the emotional e-mail, even after reading through it several times. John Mongie, a longtime friend of Harrington’s, was also on edge Friday as he continued to monitor updates about the damage left by Hurricane Irma. Mongie’s 83-year-old father, Henry, has lived on St. John for the last 55 years, in a wooden house that Mongie said was built by hand. He said his father, who is partially blind, was able to flee his home with the help of a caretaker before the storm hit. He said they hunkered down for hours in the basement of an apartment building Mongie owns on a different part of the island. Mongie lost communication with his father Wednesday, as the ferocious storm battered the region. On Thursday, the caretaker hiked through debris to the top of a hill so she could get a cellphone signal and tell Mongie they were OK.
Mongie and Harrington said they plan to host fund-raisers to help aid in the recovery efforts on St. John. They hope that by sharing their stories about what’s happening on the island, it will bring greater awareness to the damage caused by the storm. 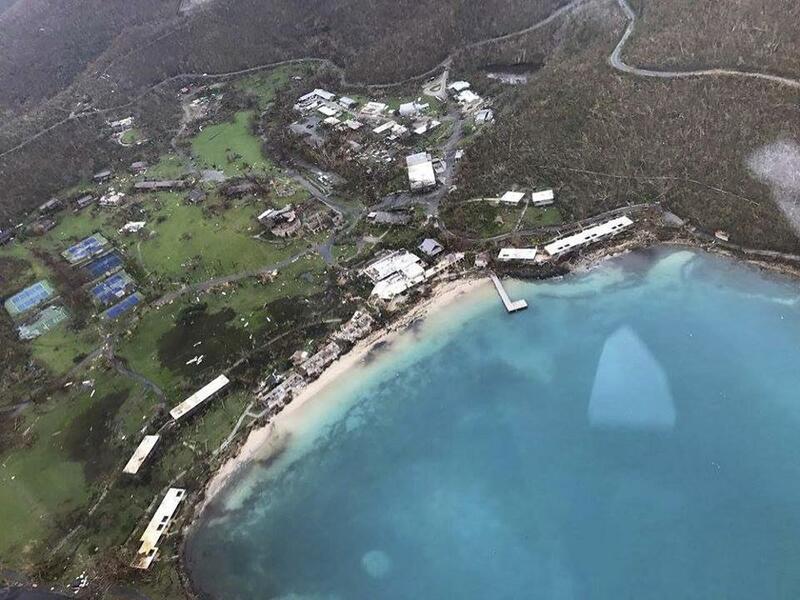 As of Friday, the full impact on the islands of St. Thomas and St. John was still being assessed, according to the New York Times. But officials confirmed that at least four people had died. Mongie said it’s going to be a long time before the island gets on its feet again, but he knows that inhabitants will persevere. Bisaillon, who sent the heart-wrenching e-mail to Harrington, said people are already pulling together, feeding one another, and clearing the roads. Julie Slodden lived in St. John for eight years before she moved to Cohasset. Her parents and close friends still live on the island she called her home, and she said she’s been glued to the weather channel since she first heard news of the storm. Steve Annear can be reached at steve.anner@globe.com. Follow him on Twitter @steveannear. Information from the Associated Press was used in this report.